Published on March 15, 2016 in General T&T, Media and Schools. 11 Comments Tags: Abuse, Naparima College, Newsday, San Fernando. 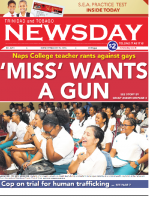 A TEACHER at the prestigious Naparima College in San Fernando, is under fire, for a rant against homosexuality, going as far as wanting a gun to deal with such persons and other problems in the world. The teacher is said to have made initial comments on the issue during morning assembly at the school on Thursday last and subsequently in a classroom session, in which she suggested dealing with homosexuals and other issues if given the gun. Referring to the parents of a student who had openly professed to being gay, the teacher reportedly said: “He has two parents, who should not be parents. Published on July 5, 2010 in Complaints, Entertainment, General T&T, Law, Media, People's Partnership, PNM, Politics, Sports and UDeCOTT. Closed Tags: Brian Lara Stadium, Cecily Asson, Gypsy, Mary King, National Academy for the Performing Arts, Ravi Lalla, San Fernando, Tarouba Stadium, Winston Peters. 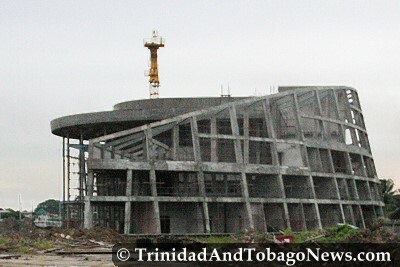 Minister of Planning, Economic and Social Restructuring and Gender Affairs, Mary King yesterday revealed that and additional $90 million is needed to complete the National Academy for the Performing Arts (NAPA), Todds Street, San Fernando while a “few hundred million more” is needed to finish the Chancery Lane Complex a short distance away.